It’s true…Americans slip and fall a lot. In fact, over one million Americans suffer a slip and fall injury every year. You’d almost wonder how we get so much done when we’re spending that much time letting gravity take us down. We slip both outside and inside on water, ice, grease spots, floor wax, your toddler’s apple sauce, and anything in between. Well, let’s all fight back with a “not today, gravity” and identify some of the most commonly slipped on surfaces. When a floor is waxed or cleaned, a wet floor sign should obviously be put up. However, people don’t always do things that they’re supposed to do. So if you see the hardwood floor shining back up at you thanks to that fresh wax reflecting the ceiling lights, it’s probably in your best interest to proceed with caution. Mopping can have the same effect, and in facilities like restaurants or grocery stores that are constantly being mopped, you must always be alert for any slick or slippery areas. The services, wholesale, and retail trade industries combined account for over 60% of injuries from same-level slip and fall incidents. So if you work in one of these industries, stay alert at all times, watch where you’re walking (that means don’t have your head buried down in your phone), and if you do see a slick spot, throw that wet floor sign out there. 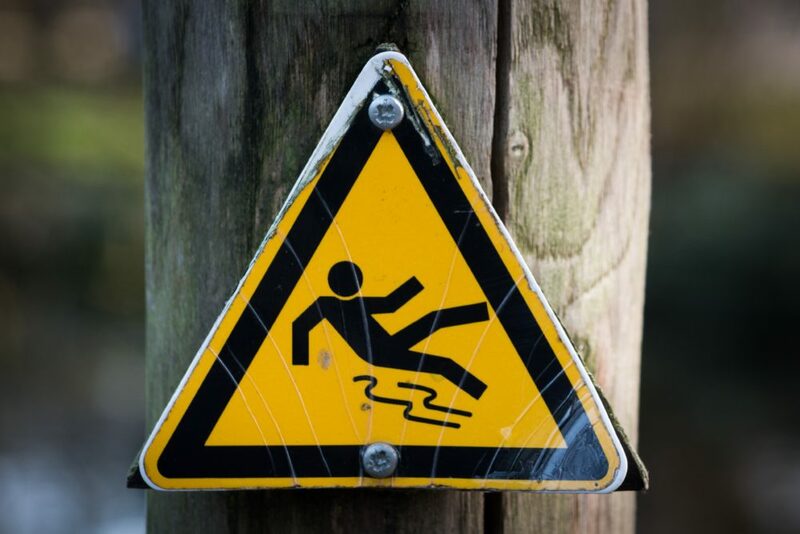 Most outdoor slip and fall injuries are the result of hazardous weather conditions (thanks, Earth). Whether it’s rain, snow, or ice, we love to slip on it. The weather is unpredictable and can change at any time, so unless you plan on never venturing outside again, there’s not much that you can do about avoiding it. Just stay alert and walk slowly if the elements do turn nasty. But even on a sunny day, the outdoors are the host of several hazards that can cause falls. Uneven sidewalks, driveways, and parking lots are just perfect for the unsuspecting person to trip on. There’s no better way to start your day than by tripping on a pothole and watching your coffee go flying through the air. So stay alert, and always watch where you walk. Oh, you thought that all of Earth’s wonderful weather was just going to stay outside? If only that were the case. When people walk inside on a rainy or snowy day, they track in all of the water from outside and leave it nicely placed in the entryway of the building. Now hopefully this building has a doormat at all entrances and exits, but if they don’t, these areas transform from doorways to slip-n-slides. And trust us, slipping your way into a grocery store isn’t exactly the most graceful way to do it. So stay alert when entering any building on a rainy day. Obviously, nothing can protect you from all of these surfaces, but if you find yourself working in slippery conditions more often than not, feel free to check out our slip resistant shoes at www.srmax.com. 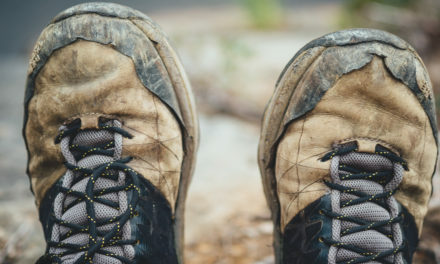 When Should You Replace Your Work Shoes? What’s So Special About Slip Resistant Shoes?